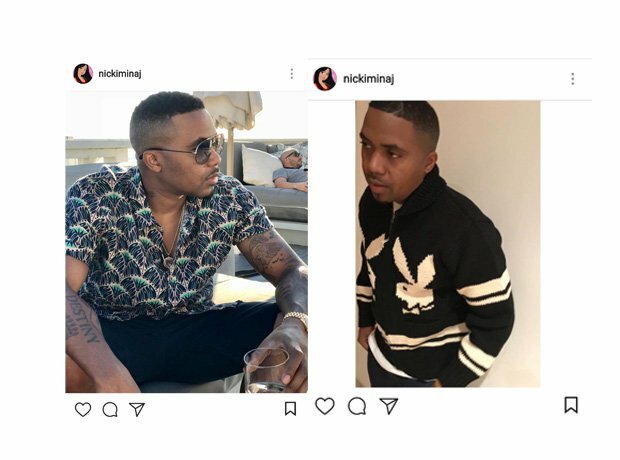 In November 2017, Nicki Minaj posted two cryptic pictures of Nas. 10. In November 2017, Nicki Minaj posted two cryptic pictures of Nas. Nicki Minaj sparked further speculation about their relationship when she posted two pictures of Nas without any captions on Instagram. Was she simply showing off her favourite pictures of him?